Hence the advice from Presentation Skills coaches such as myself: “Say it, then show.” The perils of doing the opposite – showing, then saying – become all the more acute when a presenter displays a list of bullet points, or a selection of visual images, all at once. This means that the presenter loses any control of where the audience’s attention is directed, as they will inevitably start reading ahead. 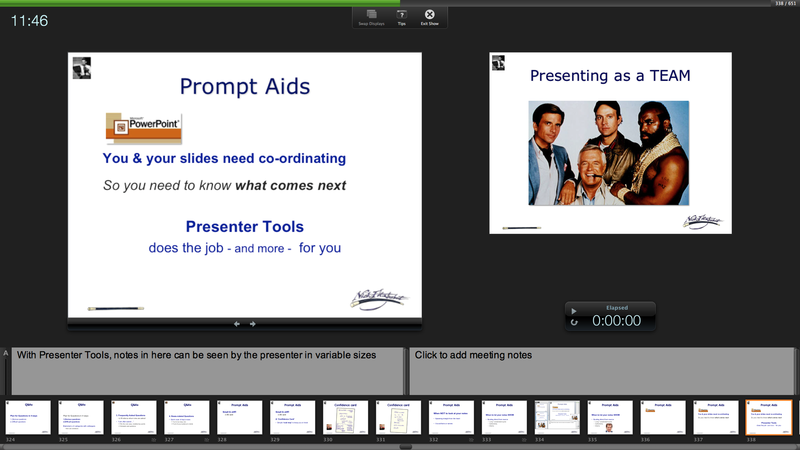 Most, but not all, slides therefore need to be displayed in a series of ‘builds’ so that the audience is looking at the point that the presenter is currently talking about.